Deputies are searching for a man who has been missing for over a month. LEE COUNTY, Fla-- Deputies are searching for a man who has been missing for over a month. 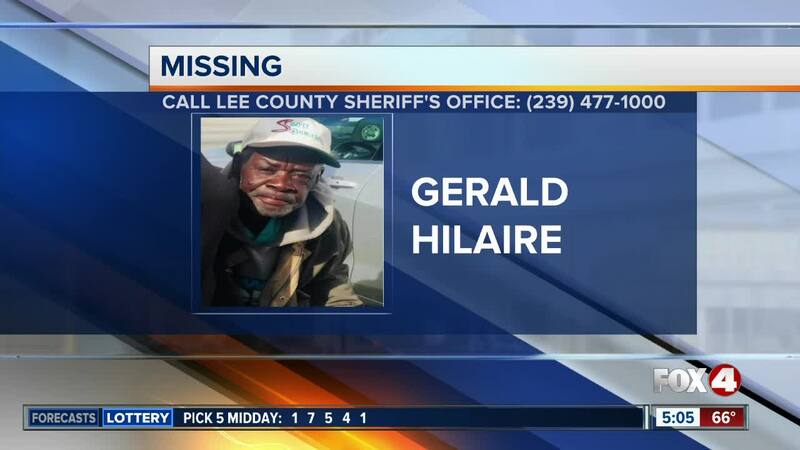 63-year-old Gerald Hilaire was last see January 4th, 2019. He was wearing a blue sweater, khakis, and black tennis shoes. He is 5'9". Deputies say he may seen confused and in need of help. If you have any information on where he may be, please call the lee county sheriff's office.